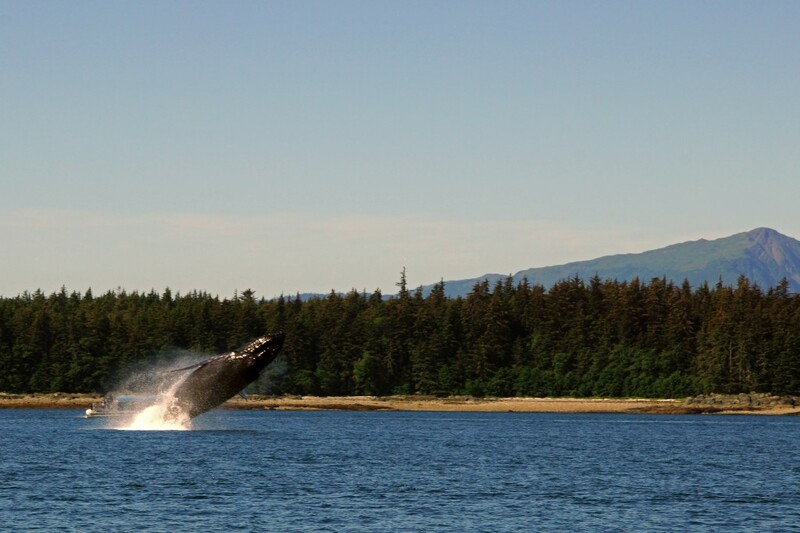 Alaska is a great place to catch a glimpse of humpback whales in the summer months. 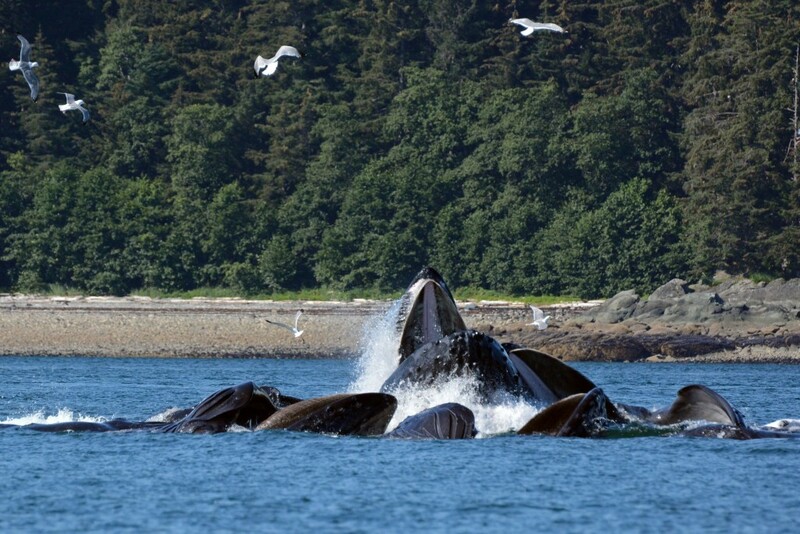 Be sure to put whale watching in Juneau on your summer to do list and experience some unforgettable wildlife viewing! 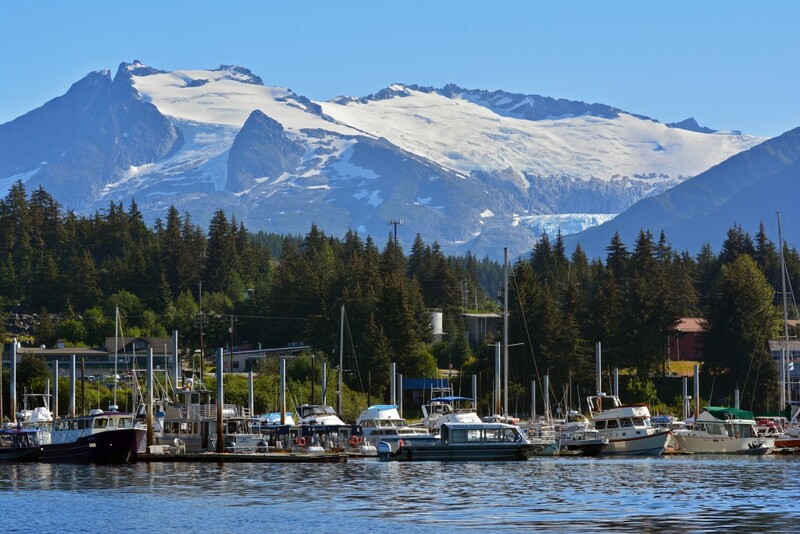 Looking for Juneau excursions for your Alaskan Cruise? 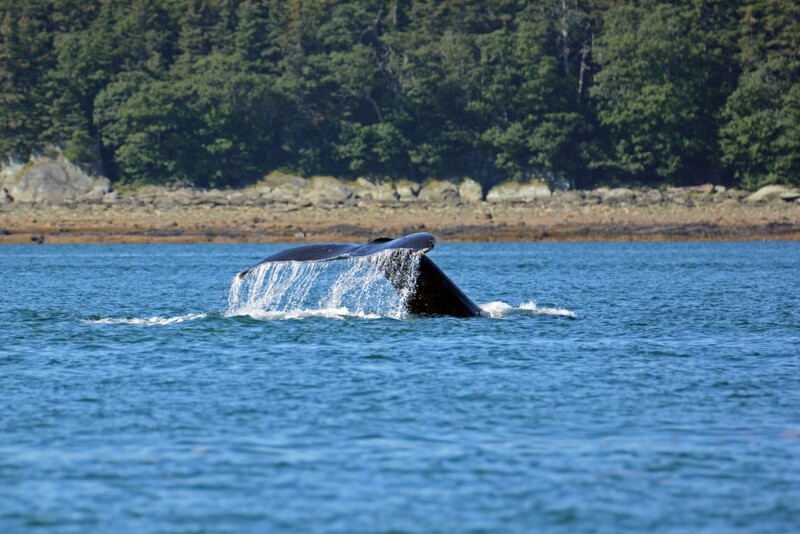 Definitely consider whale watching in Juneau for an unforgettable experience! 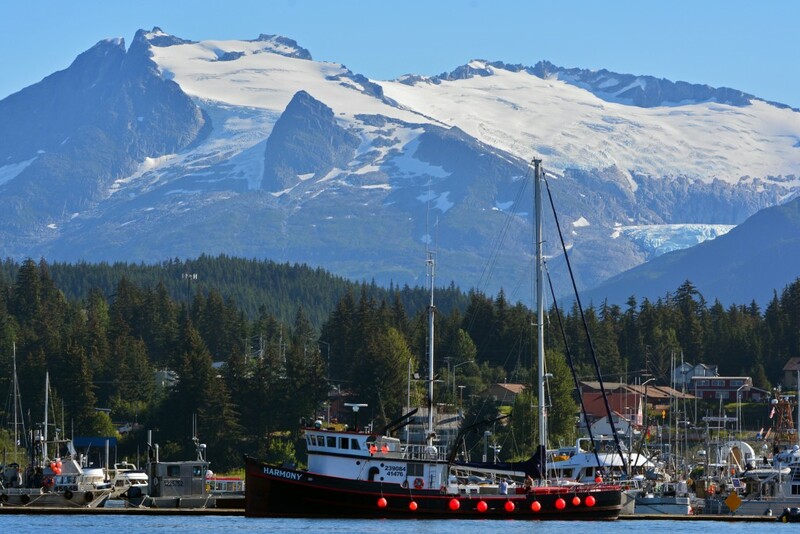 We recommend booking with a company like Harv and Marv’s who offer smaller boats, giving everyone on board a comfortable amount of space to move around. 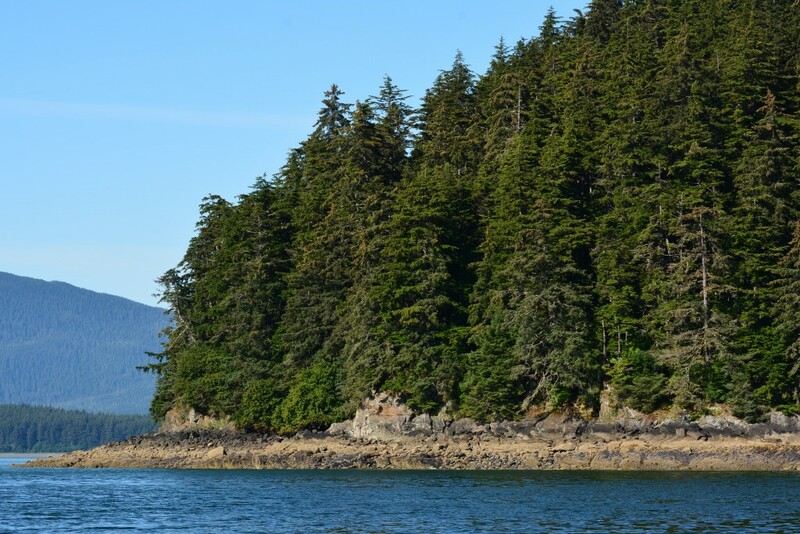 Our tour departed from Auke Bay, about a 20 minute ride from the cruise terminal. 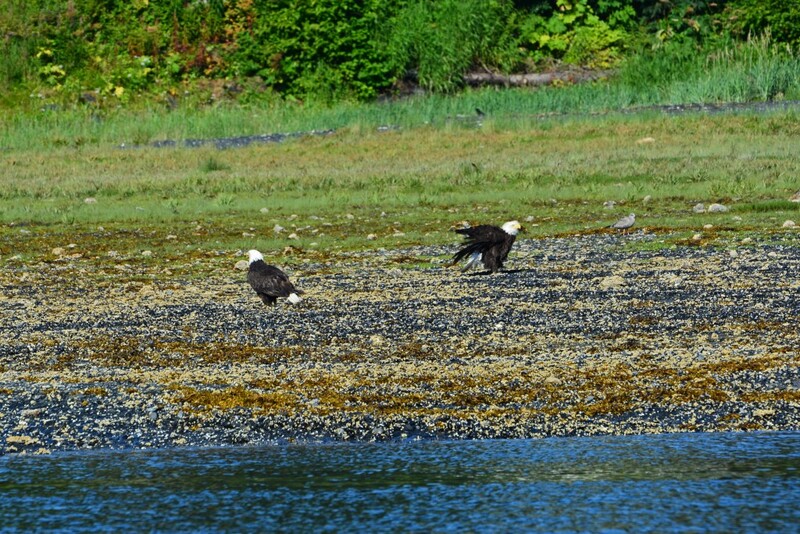 Before we even left the harbor, we were already spotting some local wildlife! 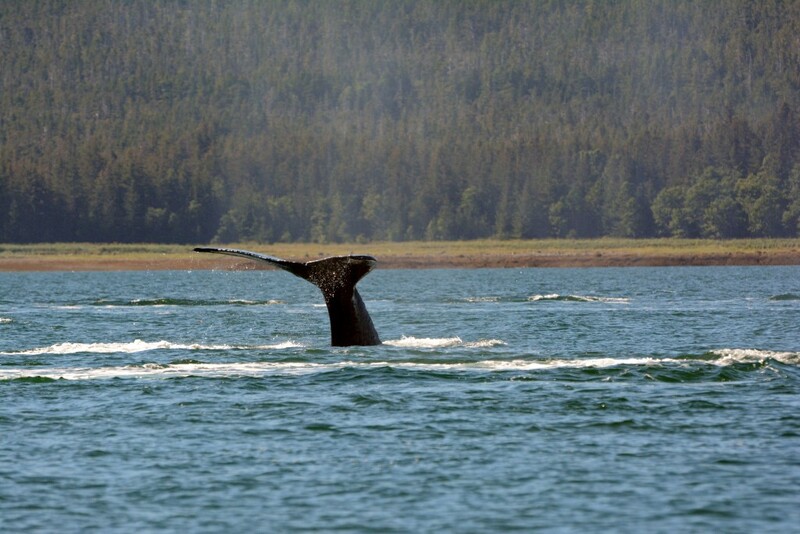 It wasn’t long before we came upon a pod of humpbacks. 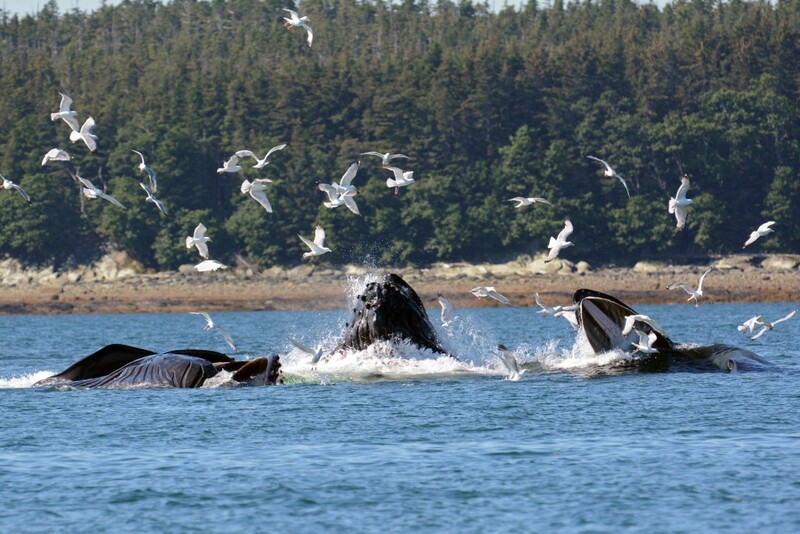 …and we got to experience bubble-net feeding, a synchronized ritual where a pod of whales work together for optimized feeding. 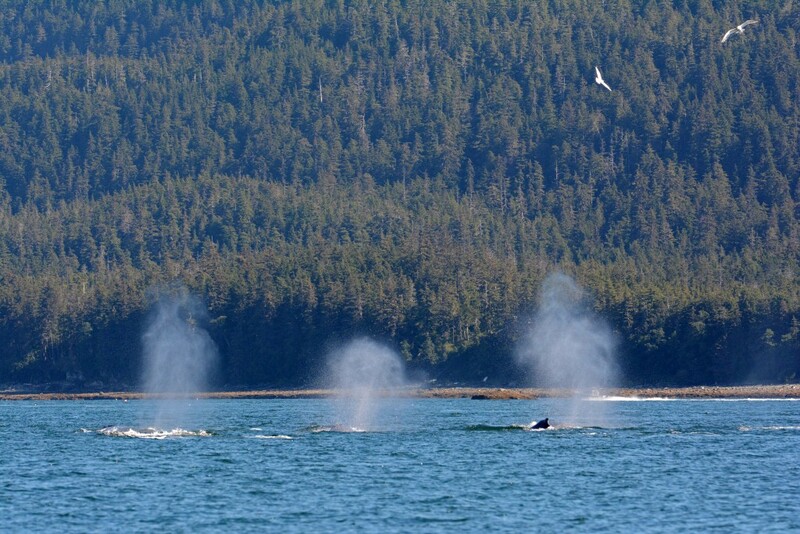 This technique is unique to whales in Southeast Alaska. 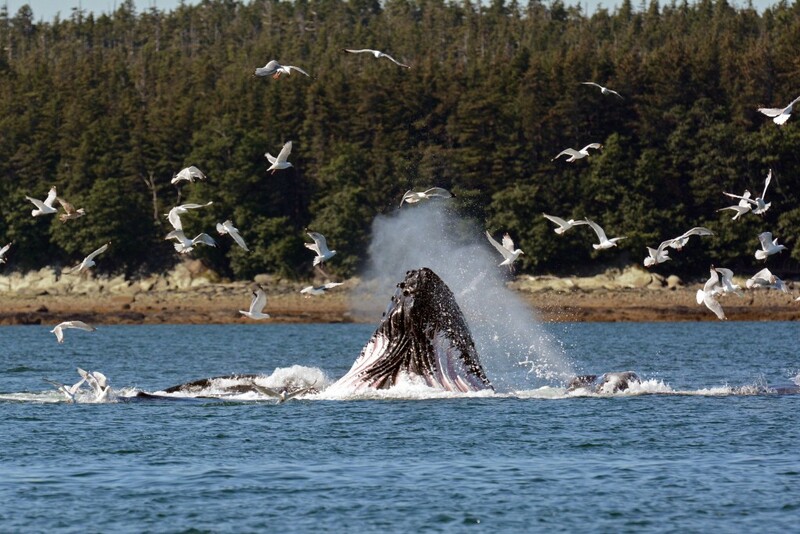 One whale will dive down and release a ring of bubbles from its blowhole beneath a school of herring. As the bubbles rise to the surface, this creates a barrier, trapping the school of fish. Another whale in the group will sing, an additional technique used to frighten the fish into a tighter clump within the bubble net. 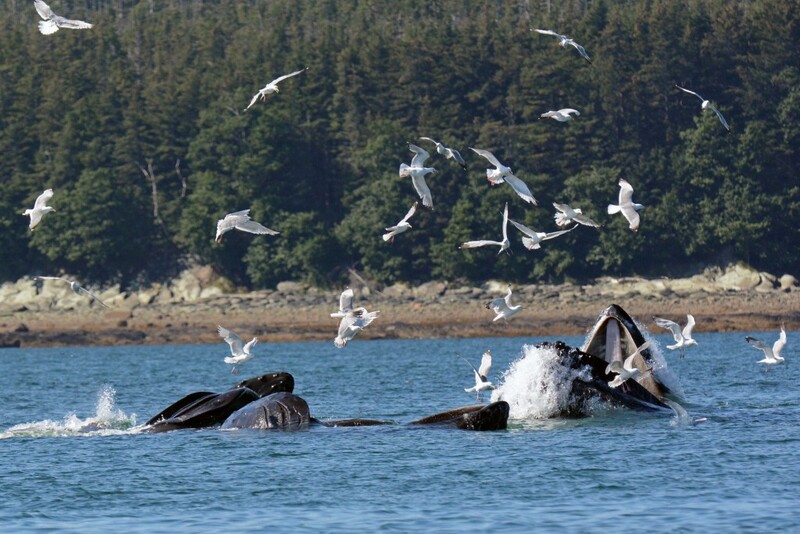 The whales then orient themselves beneath the clump of fish and lunge toward the surface, mouths fully open, to capture as much herring as they can! It’s such a surreal visual spectacle! It all happens so fast and you never know where they’re going to pop up! 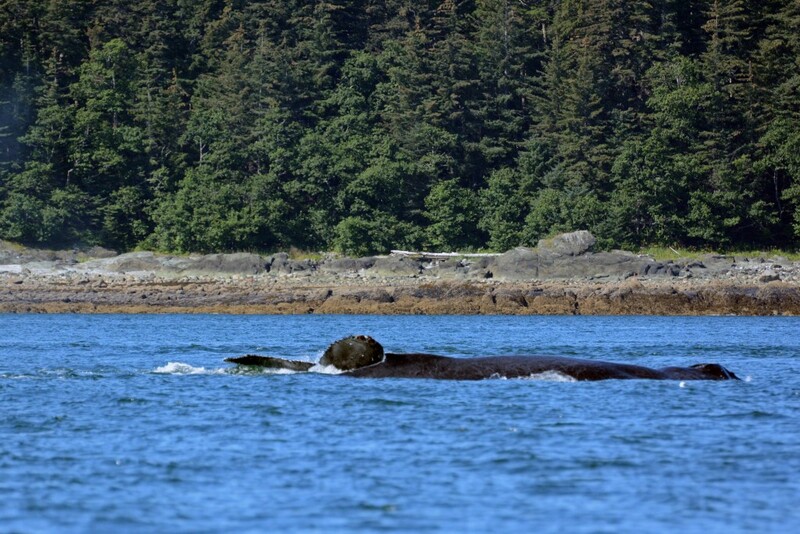 Throughout our whale watching in Juneau tour, we followed this particular pod of whales as they played, fed, and swam around the bay. We saw more tail flukes than we could count! 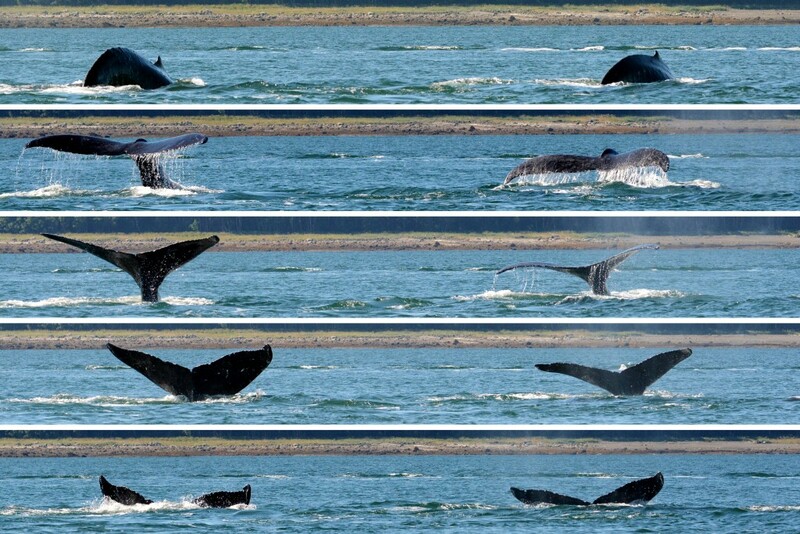 Whales show their tails as they take a deep breath, arch their back (the trademark technique giving them their name- humpback), and make their terminal dive, heading beneath the surface for anywhere from 10-15 minutes. 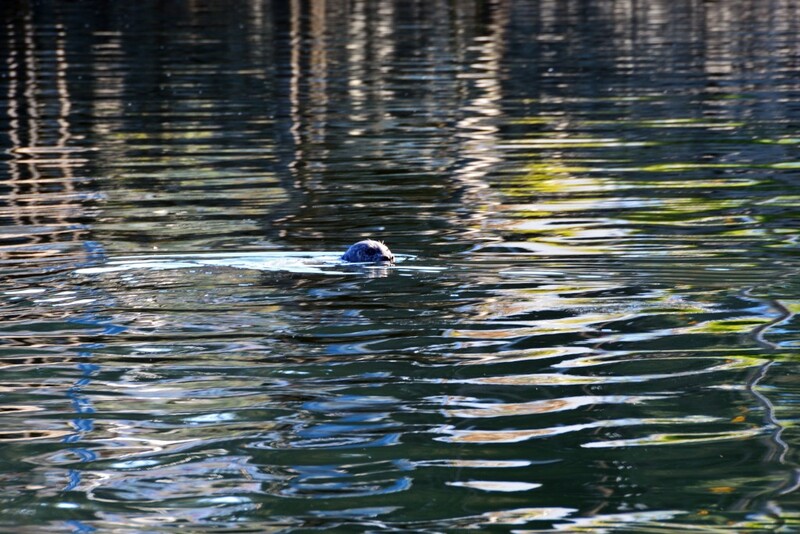 On our way back to Auke Bay Harbor, we came across other local marine wildlife! 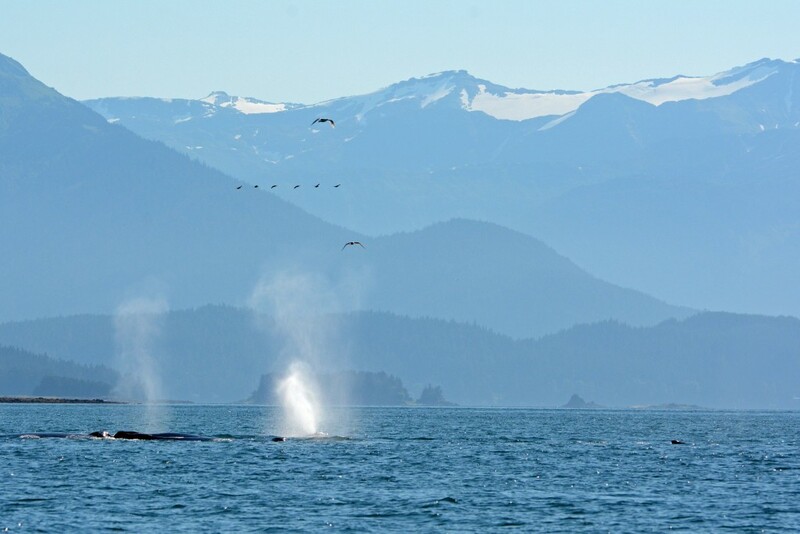 It truly was a picture-perfect day whale watching in Juneau! 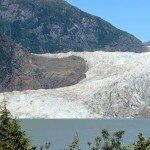 For a look at our entire day in Juneau, including our visit to Mendenhall Glacier, check out the video below! 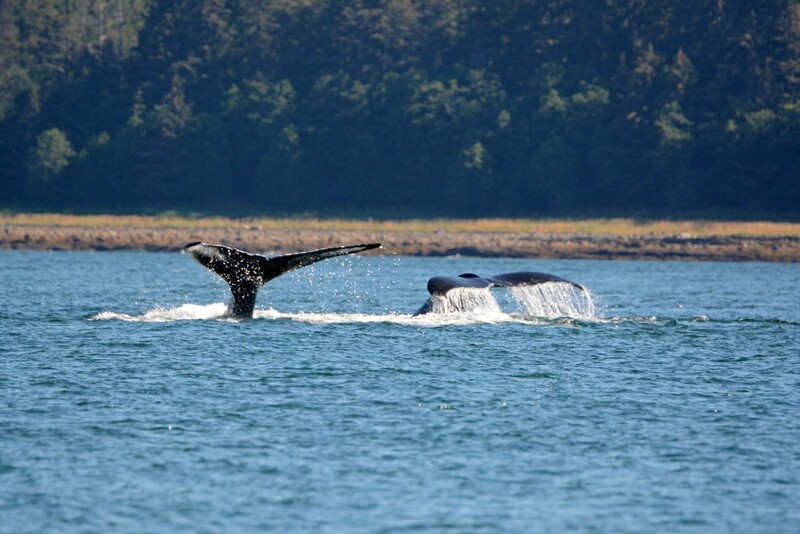 Check out a quick video of our whale watching in Juneau adventure below! Wonderful!! Thanks for sharing your awesome pictures. It was such a great experience!! It was truly breathtaking. I’m not sure I want to go whale watching ever again (j/K), as I don’t know if we’ll be able to have duplicate such an amazing experience. Nice meeting you and Mike on the trip! Wow. It just doesn’t get any better than that. Thanks so much for sharing. Thank you so much for capturing the experience on video. That was wonderful to watch. That is a dream of mine to one day be able to do that exact trip. I am Jessica and Mike Epp’s aunt. 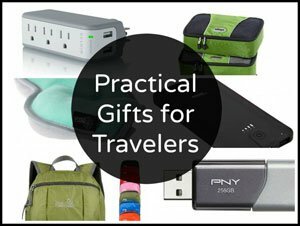 You should absolutely do our exact trip. I could only hope you get the same incredible weather and experiences we had! 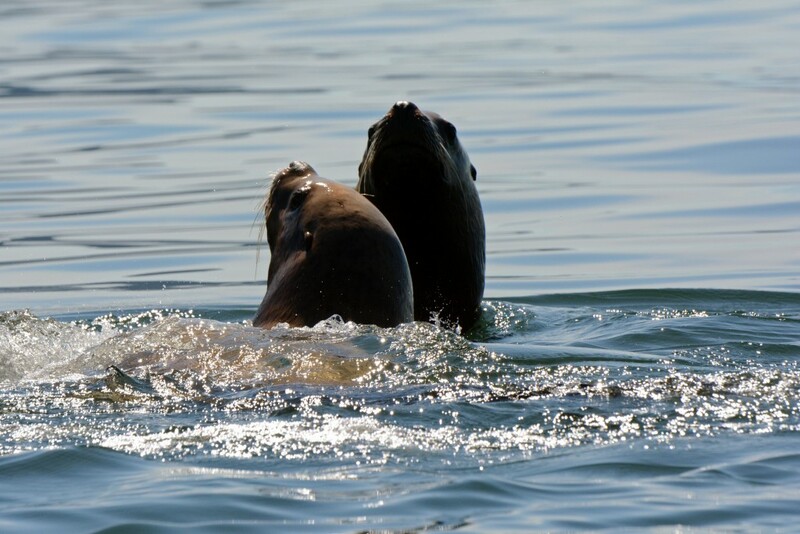 It was so nice meeting Mike and Jessica on our whale watching trip. 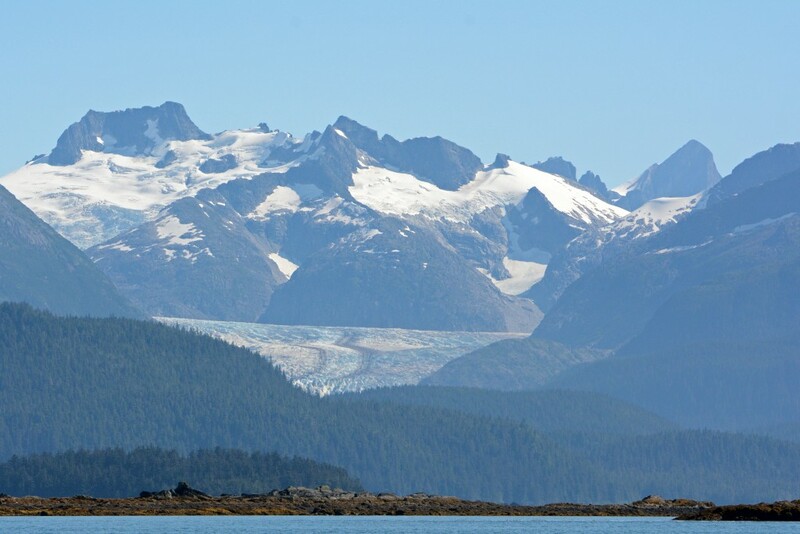 These are beautiful, Alaska is on my bucket list! Thanks for sharing, love your photo’s! 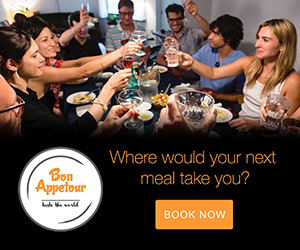 Glad you had such a wonderful time! I wish you much luck! It was incredible to witness! 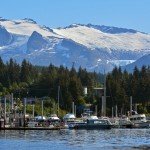 Based upon your article and recommendation, our party of six booked the six-person small boat excursion with Harv & Marv’s for our Juneau stop during our Carnival Legend Alaskan cruise. Although we weren’t as good as you were at capturing what we saw, the experience was excellent! Captain Liz was great, and the small boat experience was definitely the correct choice for us. 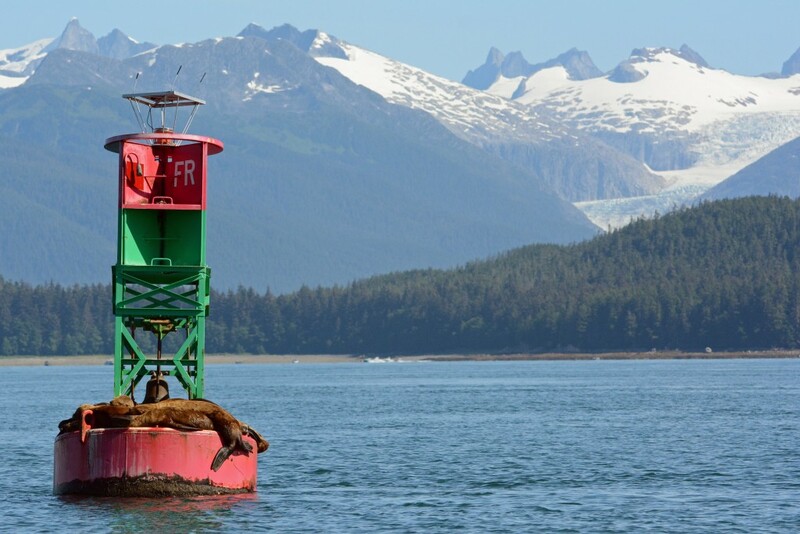 We saw several humpback bubble feedings, a pod of orcas and of course, the silly sea lions on the buoy. 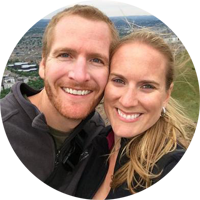 Thanks for the tip… we wouldn’t have known about Harv & Marv’s if it weren’t for your blog! Awesome! So glad we could help. 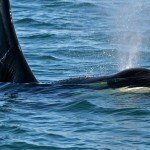 I’m so jealous that you saw orcas!! 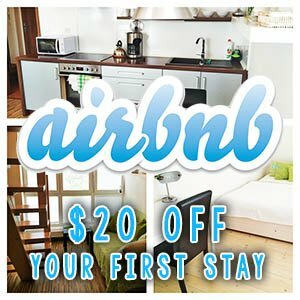 Looks like we’re going to have to go back! We really enjoyed our experience with Harv and Marv’s and are so glad to hear that you did as well. 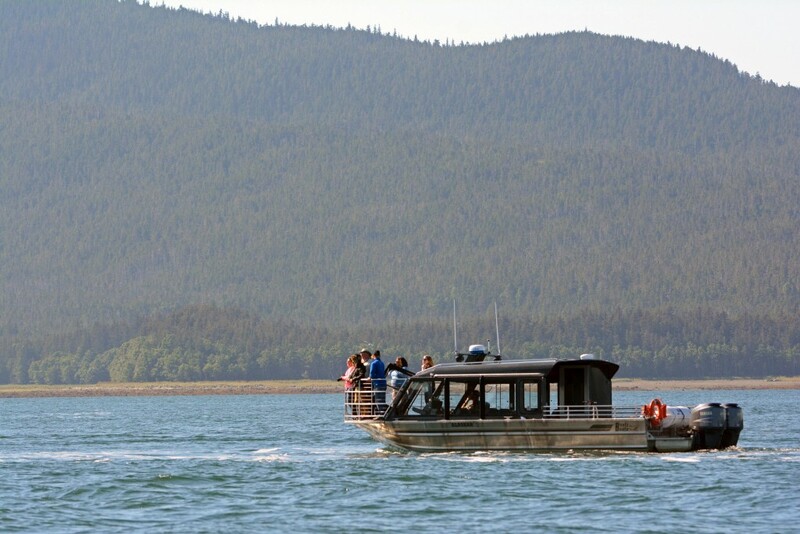 We were very grateful to have gone with a small boat tour as soon as we saw the other crowded boats out on the water, and it sounds like it was the perfect fit for your group as well!